The art world is full of fascinating exhibitions, intriguing discoveries, and moments that shape history. Here are some of the latest news items making art headlines. The descendants of an umpire famously depicted in a Norman Rockwell painting discovered the print they own is actually a unique painting by the artist. According to ArtNet News, the descendants of umpire John “Beans” Reardon had the artwork assessed by Heritage Auctions Texas. 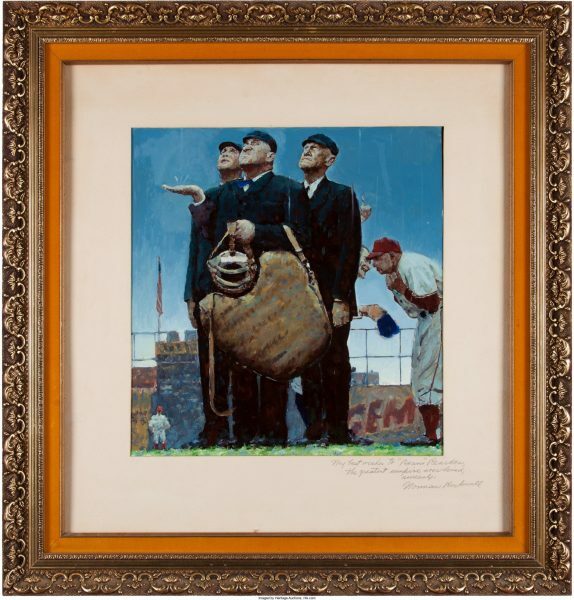 Upon further inspection, they discovered the work is an oil-on-paper study Rockwell created for his famous painting, “Tough Call.” The finished “Tough Call” resides in the Baseball Hall of Fame in Cooperstown, New York. The painting is estimated at $300,000. The artwork was reportedly given to Reardon as a gift from the artist. Reardon is one of the three umpires depicted in the image. When forensic scientists exhumed the body of Salvador Dalí on July 20 to collect DNA samples, they discovered the Surrealist’s upturned mustache was still intact. Time Magazine reports the discovery was made when Dalí’s mummified body was removed from its resting place at the Dalí Theatre-Museum in Figueres, Spain. Forensic experts removed hair, nails, and two bones for a paternity test. 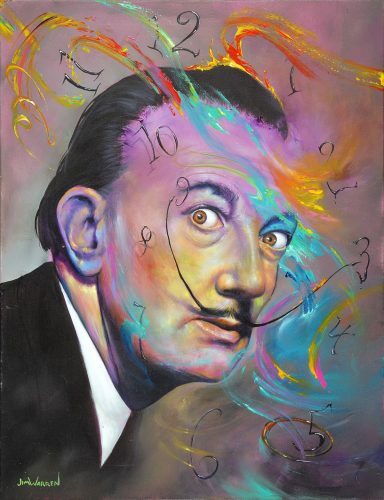 Officials noted Dalí’s mustache was still in its “classic shape of ten past ten,” referring to the positions of the hands on a clock. The exhumation is the result of a paternity suit filed by professional tarot card reader Pilar Abel. She claims her mother and Dalí had an illicit affair. Test results are expected within the next week. Should tests prove Abel is Dalí’s daughter, she could lay claim to part of the Dalí estate. If the results show otherwise, the Dalí Foundation will seek financial compensation for the costs of the exhumation. 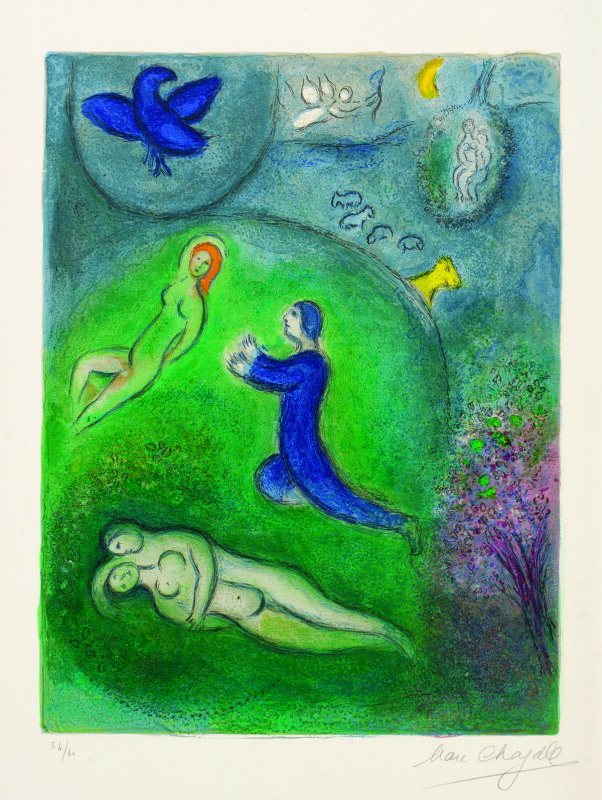 “Daphnis and Lycenion” (1961) by Marc Chagall, from the Daphnis and Chloe series. The Los Angeles Times has the details on the exhibition, which will be on view from July 31 to January 7, 2018. The exhibition features 145 objects, more than 100 sketches, reproductions of backdrops, and rare film footage of “Aleko” from 1942. The Ballet Theatre of New York commissioned Chagall to create costumes and scenery for the ballet. 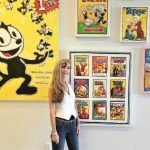 Want more art news? Be sure to follow Park West Gallery on Facebook, Twitter, Instagram, and Pinterest.